A business letter may include attachments that resume information within the letter or provide additional details for better understanding. The term attachment is often interchanged with the term enclosure. Despite their similarities, they're not one and the same thing. 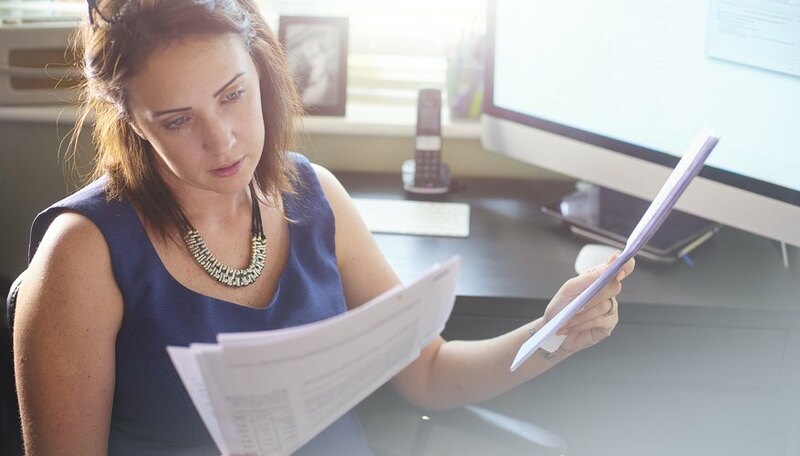 Understanding the differences between the two and how to cite them in your business letters will make look more professional and even give you a competitive edge. When citing an attachment or an enclosure in a business letter, note the attached file or document name within parentheses. First, make sure you understand the difference between attachments and enclosures. While both allow you to provide more information and additional resources, they represent different things. As its name suggests, an attachment is a document or file attached to a letter. It's considered to be part of the letter as it highlights key points, offers more information or supports your statement. When you write the letter, refer to the documents attached. For instance, you can attach a contract and mention it in the letter along with relevant information on what it entails. Enclosures, on the other hand, are separate documents. For example, if you're sending a business letter to a potential new partner, you may enclose a brochure, market study or comparison chart. It's not necessary to refer to this document in the letter. The choice is up to you. When citing information from another document within the text, use parentheses in either postal mail or electronic mail correspondence. Note the attached file or document name within parentheses. Assuming a letter is referring to a telephone complaint, the citation would include the name of the complaint document, such as: (Enclosed: Customer Service Journal, 1/5/2017). In-text citations add additional information to the content of the letter. The citation might refer to spreadsheet data, transcripts or other letters. Use easy-to-read file names that describe the document. If the document is printed, title it in the same fashion. It is also acceptable to assign attachments with alphabetic letters, such as "Attachment A." In addition to using an in-text citation of attachments, also remind your reader of attachments at the end of the letter. Under the signatory name on the bottom left corner, type "Attachments." It's optional to list the name of all attachments at the end of the letter, but it is good practice especially if there are many of them. This will give the recipient a better idea of what to expect and which files he or she needs the most. Enclosures are not frequently referred to in the actual text, but this isn't a hard rule. If enclosures are cited within the business letter or memo, use the same method described for attachments. Examples of an enclosure include a resume or an application. These files are referenced at the end of the letter under the signator's printed name along the left bottom margin. Use "Enclosure" for one enclosure and "Enclosures" for more than one. It's also acceptable to add the total number of included items, such as Enclosures: 4. If a document is cited in the letter but not actually enclosed with it, note this as "w/o Enclosures." In government correspondence, a differentiation is sometimes made between a business letter and a memo. With letters, the cite is referred to as an "Enclosure," while memos usually refer to them as "attachments." These documents are often referred to within the text according to an assigned alphabetic letter, such as "Attachment A." List all attachments or enclosures, even if a second page is needed to properly do so, stating "Attachments: Page 2." If a referenced document is not available, this is noted by including "w/o encl." to let the receiving party know that the document isn't available and so not enclosed. Check with specific government entities for template specifics or unique format guidelines.